Just Get Fit Do you need supplements? And details on what I actually take! First and foremost, you do not need any supplements to get results. Taking supplements doesn’t guarantee results. Changes in physique and strength and related to your effort, consistency and the work you put in. If you can’t afford to buy supplements that is totally okay, you can still make amazing progress without them! I get a lot of questions about supplements I use. To be honest, I don’t use a whole lot. I have used the below products for 1-10 years and don’t always use them. The only things I do recommend taking are a multivitamin and omega fish oils daily. Please do your own research on brands you can purchase in your area. Please remember at the end of the day it is extremely important to do your own research and make supplement choices that are right for you! I’ve had lots of supplement recommendations over the last two years and I always do my own research beyond what i’m told. I make sure to look at various sources and ensure i’m getting reliable information that works for me. Whether you’re trying to shed fat or bulk up, your daily protein intake is important. Your body needs protein for everyday function. If you are weight training, a general recommendation for protein intake is 1 gram per pound of lean body weight. You can get protein from fish, chicken, turkey, beef, wild game meat, eggs, beans, peas, lentils, tofu, tempeh, and protein shakes. I currently only use Women’s Best protein powders. I do not use these everyday. I only have protein shakes on days when I know I haven’t consumed enough protein via my regular meals. On average I have protein shakes 3-4 days a week. 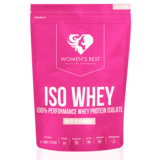 I use the Fit Whey and Iso Whey most of the time. They mix really well and I think they taste great. I only ordered chocolate and vanilla. When i have them on their own I drink them with water, not milk. That’s just based on personal preference though. You can use “Nikki10” for a discount (I do not get commission if you use this code). On occasion I use the Women’s Best vegan protein. While it is good, I personally prefer the taste and texture of the whey. I also use the WB “All in one-whey-protein” on occasion. I got the cookies in cream flavor for when I want something sweet. It’s not an every day flavor for me as it is quite sweet in my opinion. I also have the WB Slim Body shake protein mix however I DO NOT use it as a meal replacement. I personally never replace meals with shakes. I got the Late Macchiato flavor and drink it with water when I need some additional carbs to tie me oven when I don’t have time to have a meal right away. 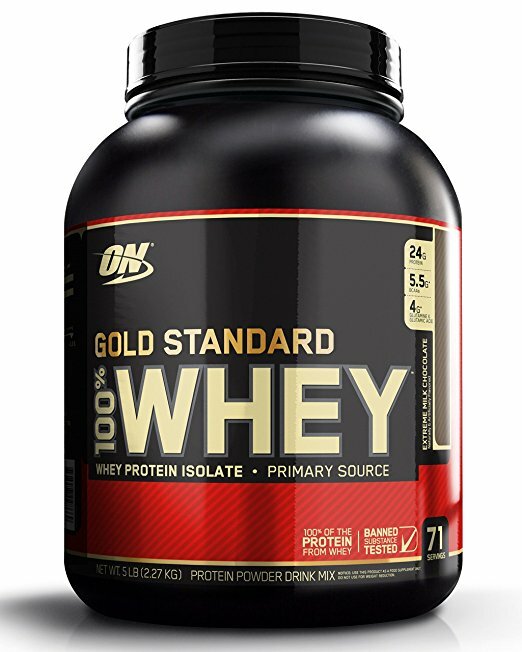 I have also used Optimum Nutrition whey for years and really enjoy their chocolate flavors (they have a lot). 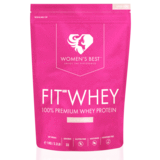 I currently use Women’s Best whey. I like their Tropical punch flavor the best. You can use “Nikki10” for a discount (I do not get commission if you use this code). I take pre-workout 80% of the time. I don’t drink coffee or even much tea with caffeine. However, I find my workouts are often a lot better with a pick me up like pre-workout because it gives me a boost of energy. Pre-workout is NOT required but can be great to help push you through your training. Prior to Women’s Best I used Amino Energy. As someone who doesn’t drink coffee and rarely consumes much caffeine I’m really particular about my pre-workout. 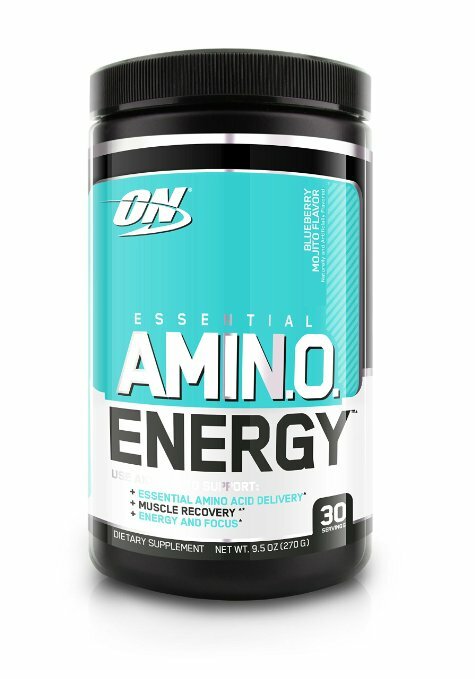 I’m a huge fan of amino energy because it makes me feel good/wide awake without making me feel jittery, anxious or exhausted when it wears off. I’ve tried most of the flavors and love all of them except grape (it reminds me of cough medicine from when I was little..but my husband loves it!) I really like green apple, blueberry mojito and watermelon. I have been using this stuff for years! I always like to do my own research before I take any new supplement. No matter who recommends it, it’s important to know what you’re consuming and why! BCAAs are the building blocks of protein. The 3 essential aminos are isoleucine, valine and leucine. They make up 1/3 of muscle protein. This supplement may help speed up recovery, fight fatigue and has the potential to help with muscle growth. You can find BCAAs in foods like chicken, fish, cottage cheese and veggies. So you can also just focus on consuming sufficient protein from whole foods! I currently use Women’s Best BCAAs a couple times a week. I love the way it tastes and it makes it so easy to drink more throughout my workout. I normally do 1 liter of water mixed with 1-2 scoops of BCAAs each workout. I have not tried all the flavors but so far Passion Mango is by far my favourite! It tastes so so delicious! 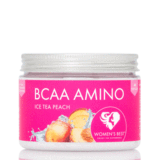 I do find their BCAAs quite sweet I generally use 1/2 scoop to 1 scoop per litre of water. 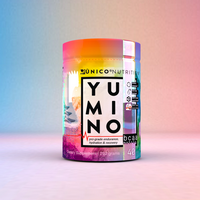 You can use “Nikki10” for a discount (I do not get commission if you use this code)..
I’ve used BCAAs (Branch chain amino acids) from Unico Nutrition for almost two years and LOVE them! They taste so so good! BCAAs you to maintain mass during a calorie deficit as they stimulate protein synthesis and reduce the rate of protein breakdown. They also help to improve workout intensity and maximize fat loss. Last but not least, BCAAs help to keep the body hydrated with electrolytes and initiate muscle recovery. I haven’t used creatine in a while as I like to give my body a break from supplements from time to time. 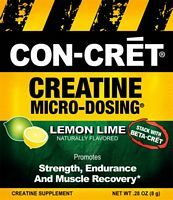 However, when I do use it I use Con Cret creatine hydrochloride (HCL). A lot of people complain about weight gain while taking creatine but the HCL version doesn’t cause this, I know from personal experience. So what does it do? Creatine is a natural substance that turns creatine phosphate into ATP. ATP is what our bodies make to provide us with energy for exercise and muscle contractions. Our bodies naturally produce creatine but we can also get it from some fish and meat. Create helps to improve lean muscle mass, recovery, strength, brain function and give athletes the boost to perform high intensity activities. Some people have mixed feelings about adding creatine to their supplements and I totally respect this. It is ALWAYS important to do your own research and see if something is a good fit for you. I’ve been using Botanica Greens (Superfruit flavor) for just over a year. I put one scoop in about 750 ml of water and drink it with my BCAAs during my workout. This is another supplement that I use every time I workout and I try to take it also on days when I don’t train. One scoop gives you 8 servings of vegetables. It contains nutrient dense fruit and vegetables like blueberry, papaya, acai, goji, beet, and kale. It mixed super easily in a shaker cup and tastes like juice…but i’m not a juice drinker so don’t quote me on that! Either way, its super delicious! I always buy mine here. L-Glutamine is a naturally occurring amino acid found in your muscles. It helps to minimize muscle breakdown and improve protein metabolism (which is especially important during a cut/calorie deficit). I take this after a workout. You can buy capsules or powder (which can mixed into water or a protein shake). Following a workout your glutamine levels have been depleted. This means that taking it post workout can assist your body in muscle cell repair after exercise. 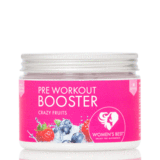 It also helps to improve recovery and supports the immune system following periods of physical stress (exercise). For more on collagen check out my post here. I’m curious about the timing of these supplements. Do you drink multiple glasses so you keep everything separate or so you mix the bcaa’s, the aminos, and the creatine? Depending on how sensitive you are to caffeine, you should take your preworkout 10-30 minutes before your workout. I normally drink my creatine 30 minutes to an hour before training when I take it and I drink my BCAAs as an intra workout =). I don’t feel like I have a lack of energy to work out. It’s after my workouts that I always have a major dip and not as much physically as mentally. Physically I can feel I’ll be sore the next day (yaay!) but that’s it. I’m not shaky or anything. Mentally, however, I struggle to regain focus for at least an hour after my workout, which is a bit of a pain since I train and home and do it as a work break. I take a whey protein shake with berries after each workout but that’s all I take in terms of supplements. That’s very interesting but I’m sure also very inconvenient! I’ve never heard about someone struggling with the mental aspect following a workout for such a long period of time. It might be worth it to see if is related to a certain type of training. If you were to switch up your workouts do you experience this? It might also be worthwhile to switch up your workout time and seeing if that makes a difference. Good luck!